The Foundation InSalvation has a mission: that a generation would rise up, that leads a life of worship and justice, just as Jesus taught us: “Love the Lord your God above all else and your neighbour as yourself.” Through the years that we have been active as InSalvation, we have seen that many are searching for fulfilment in their lives. We believe that Jesus is the source of life and it is He who provides that fulfilment. He has brought lasting change to our lives and He wants to let our hearts overflow with His love, so that we may share this love that we have received with the people around us. We want to challenge our generation to diligently follow Jesus, to live a life of worship and justice, inspired by God’s Word. Our dream is to see a large movement come into being that will have a deep impact worldwide. Worship music has gained a more important place in a continuously changing society, and is playing a greater role in the spiritual growth of people and churches around the globe. And when people worship from their heart, justice is a natural result. Throughout the years InSalvation has evolved to be so much more than just a band. Do you want to be a part of our mission and help us expand? You can read more about how you can get involved on the SUPPORT US page. InSalvation is more than just a band. 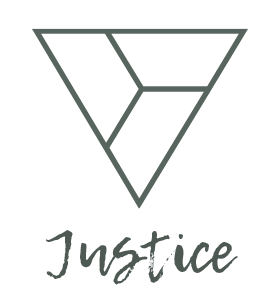 Since January of 2015 InSalvation has become an Foundation with three main focal points; Worship, Justice and Equipping. InSalvation has a dream and a vision to see a movement take place in Europe, a movement of people who are dedicated to following Jesus and will rise up and lead a life of worship and justice. By choosing to make InSalvation a Foundation, we have been able to bring in others who are experts in their fields in order to achieve the mission. InSalvation believes that we have been created by God to live in fellowship with Him. One of the ways God has given us to meet Him, is through worship. Worship is a main focal point for InSalvation. InSalvation believes that we have been created by God to live in fellowship with Him. One of the ways God has given us to meet Him, is through worship. Worship is a main focal point for InSalvation. Worship is a main focal point for InSalvation. Wikipedia says the following about worship: Worship is showing honour to God or what one considers to be a deity. Worship is not a religious act, but a religious lifestyle. The true worship of a deity encompasses every aspect of one’s life. InSalvation has experienced that worship is an integral part of every aspect of life. Music is one way to express worship. 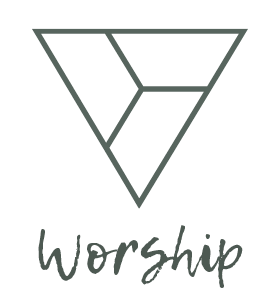 As worship is one of the focal points of InSalvation, it is expressed in the composing of music and leading worship during church services and events. InSalvation also gives training sessions on worship (both in a theoretical as a practical sense). We have created a few albums that you can purchase in our WEBSHOP. Would you like to invite InSalvation for your church or event? Then take a look at BOOK US for a list of options. InSalvation believes that true worship is always expressed as caring for the poor and the oppressed of this world. We have received love from God and we want to share this love with people both near and far. InSalvation partners with Compassion and the 4th Musketeer, so we can be a voice for those unable to speak, just as Proverbs 31:9 says. InSalvation is an ambassador for Compassion in the Netherlands. Compassion is a child-sponsor organisation that provides underprivileged children in more than 26 countries worldwide a chance at a better future. Through the child-sponsorship program children can attend school, they receive nutritious food, medical care and options for social development. But most of all, they hear the Gospel of Jesus. Compassion uses a holistic approach to help children in their physical, mental, spiritual and social development. InSalvation is also involved with the 4th Musketeer and their Muskathlons. A Muskathlon is the ultimate challenge in an extreme location, for which sponsor funds are collected for the work of Compassion. Do you want to get involved and promote human rights and justice? Then organize a Compassion Sunday in your church. InSalvation will provide the worship, a children’s quiz and the sermon. Please contact us if you would like more information about how to organize a Compassion Sunday. InSalvation desire is to see God’s Kingdom become more and more a reality and that is why we have a great passion to inspire and motivate people. We do this through our blog, teaching engagements and workshops. Do you want to invite a speaker for an event, church service, youth meeting or a festival? 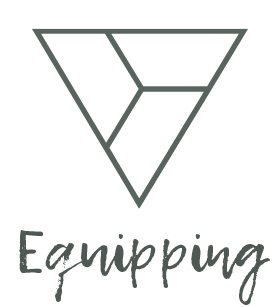 Or is your worship team looking for someone who can inspire, equip and teach them about worship? We would love to help you. Please contact us! Check out BOOK US for all the options.